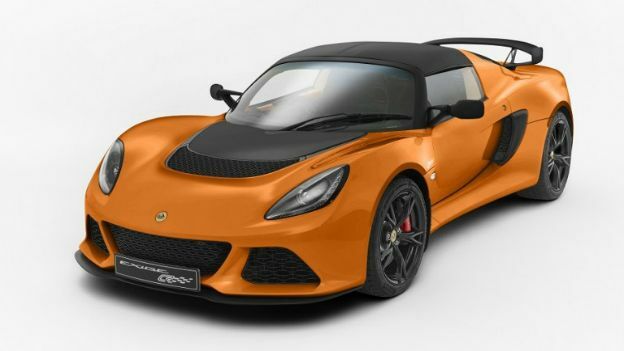 Lotus has unveiled a Club Racer version of the already rapid Exige S, featuring a stripped down body and a stylish, Need for Speed esque face lift. Lotus just celebrated the 20th anniversary of its popular Elise by releasing a string of new cars, amongst them is the Exige S Club Racer. This refined version of the original Exige S is a worthy option for those with a slightly bigger budget seeking a high-performance coupe. Lotus has managed to trim 15kg of surplus weight, thanks to a lightweight battery, lightened centre console, lighter doors as well as new sports seats. Additionally, three new driving modes are available; Drive, Sport and Racer with each selected through a dedicated switch. The different modes translate to different traction slip thresholds with Sport and Race settings also sharpening throttle response. Powering the Lotus Exige S Club Racer is the same engine as all other Exige S models. That means a 3.5-litre supercharged V6 engine capable of firing it from 0-62mph (0-100km/h) in just 4.0 seconds, with a top speed of 274 km/h (170 mph). Of course, the track-ready speedster looks as great as it drives. Lotus has made the front splitter, rear wing, front access panel, roof panel, wing mirrors and rear transom matt black. They also give you a variety of stylish paint jobs to choose from, including: Metallic White, Exige Orange, Metallic Yellow and Matt Black. The Lotus Exige S Club Racer can be all yours for £56,900, just £2,400 more than the standard model.